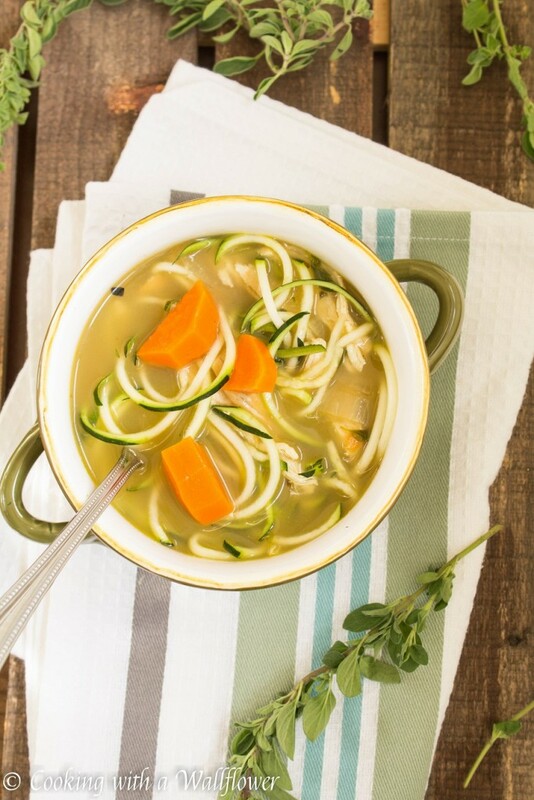 Filled with celery, carrots, chicken, and zucchini noodles, and seasoned with fresh oregano and thyme, this soup is simple to make and delicious. 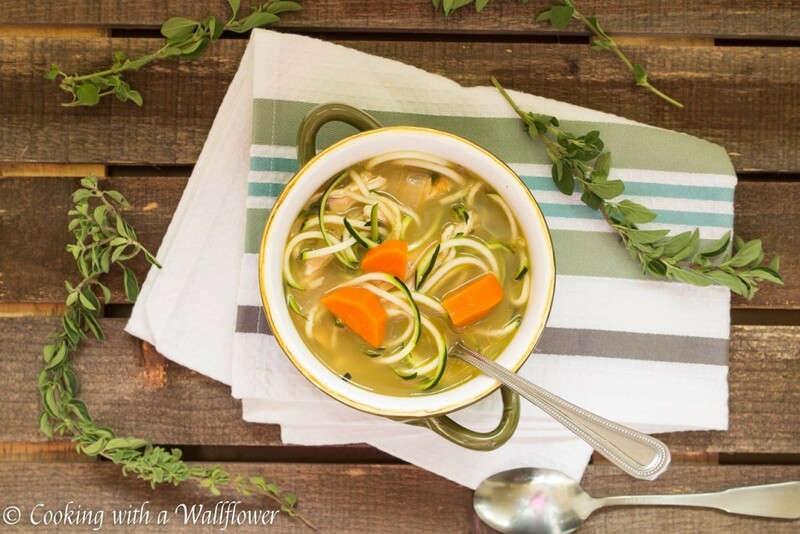 This chicken zucchini noodle soup is light and refreshing, a twist to an all-time favorite. One of my absolute favorites is chicken noodle soup. It’s something so delicious, so comforting, and yet so easy to make. But I wanted to add a little twist to an all-time classic. 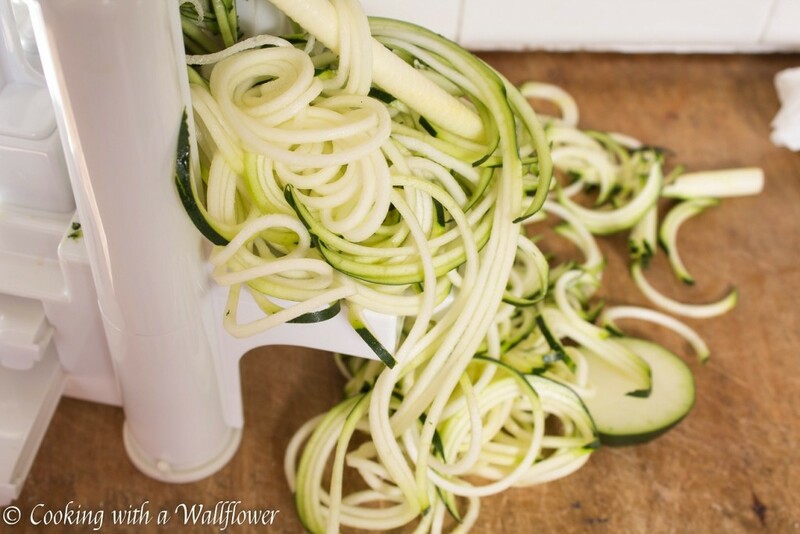 Instead of using pasta or egg noodles, I decided to use spiralized zucchini. 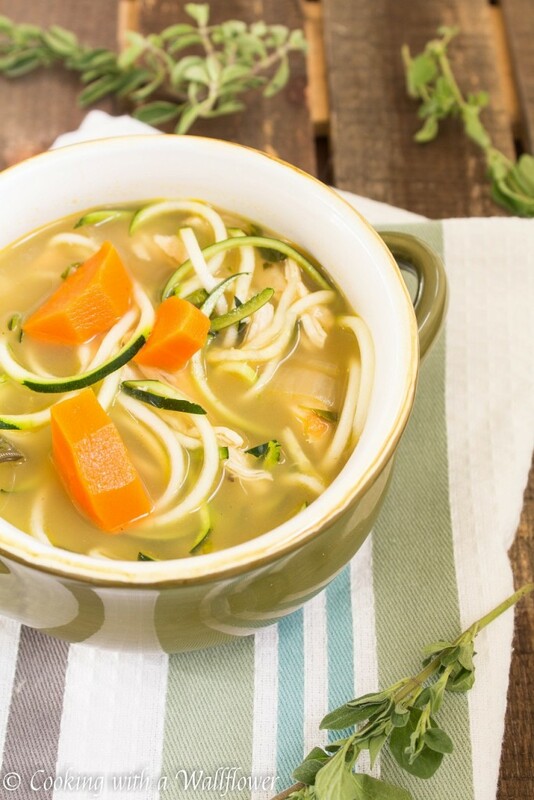 Using zucchini noodles to make chicken noodle soup adds a light and refreshing taste to a soup we are all familiar with and love. It’s healthy and so easy to incorporate into the recipe. Zucchini noodles also work so well with Foster Farms® Organic Chicken, which is California grown, certified organic by USDA and Non-GMO Project verified. 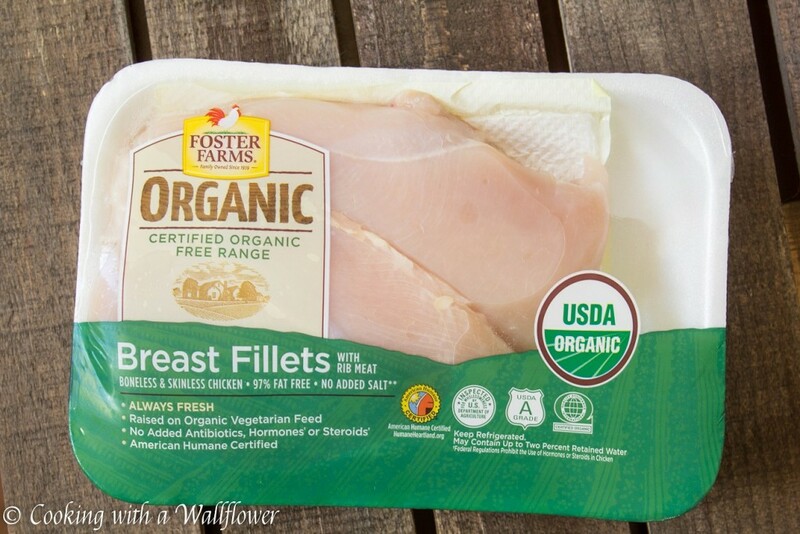 This organic chicken can now be found at mainstream grocery stores such as Safeway. I hope you’ll like this version of chicken noodle soup as much as I do. First, you’ll want to cook the chicken. I like cooking the chicken separately before I add it to my soup. That way, I can shred the chicken. I love the texture of shredded chicken in pretty much any dish. Add olive oil or vegetable oil to a medium sized skillet. You’ll want to make sure that the oil coats the bottom of the skillet so that the chicken doesn’t stick to the skillet. Allow the oil to heat for a minute or two. Once the oil is hot, add the chicken. Allow the chicken to cook over high heat for a minute or two until the side facing down has browned. Flip the chicken to the other side and cook the chicken for another minute or two. Now, turn the heat down to low, and cover the skillet with a lid. Let the chicken cook for an additional 10 minutes over low heat. After 10 minutes, with the lid still tightly covering the skillet, turn off the heat. You want to let the chicken continue to cook even with the heat off so make sure that you don’t remove the lid for 10 minutes. Once the 10 minutes are up, remove the lid, and transfer the chicken to a plate. Use forks to shred the chicken and set aside for now. To a medium sized pot, add a little bit of olive oil. Allow the oil to heat for about a minute. 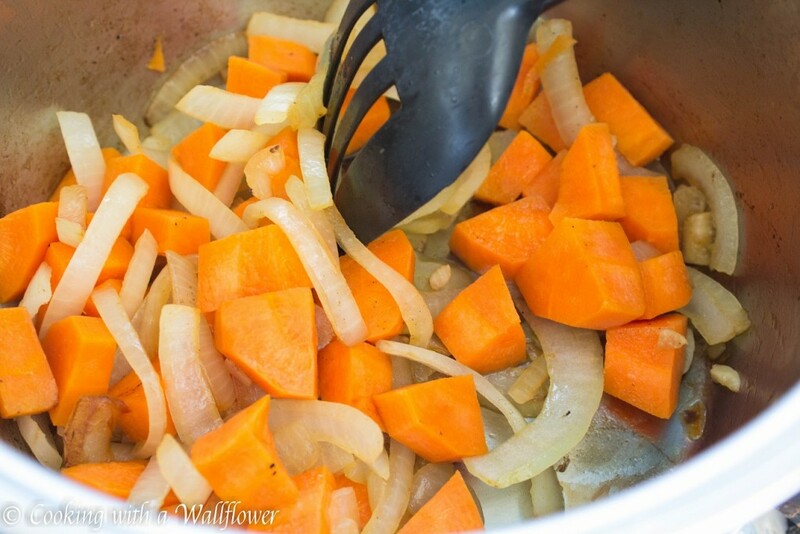 Once the oil is hot, add minced garlic, sliced onions, diced carrots, and diced celery. Cook all the ingredients until they have softened and become tender. Pour the chicken broth into the pot. Add sprigs of fresh oregano and fresh thyme and season with salt to taste. Once all the vegetables are soft and tender to your liking, add the zucchini noodles and cook for about a minute. You don’t want to cook the zucchini noodles for too long because you want them to retain that natural crunch. When you’re ready to serve, add the shredded chicken. Serve the chicken zucchini noodle soup warm. First, add olive oil or vegetable oil to a medium sized skillet. 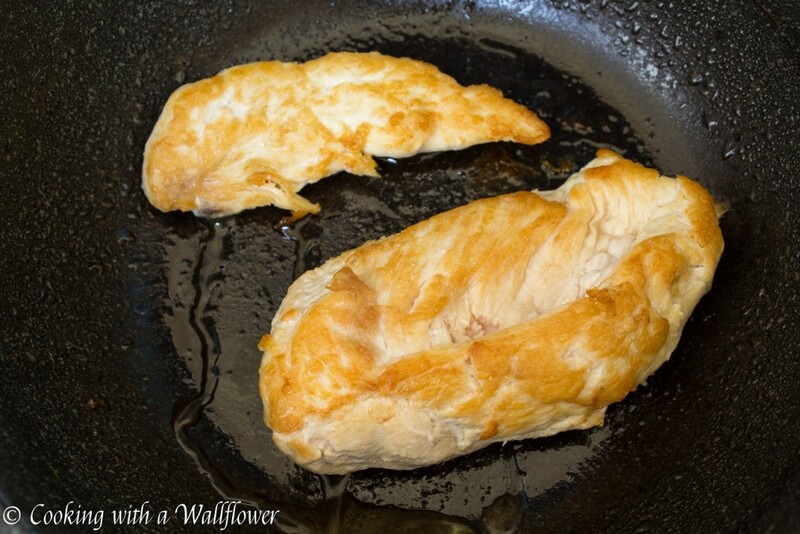 Make sure that the oil coats the bottom of the skillet so that the chicken doesn’t stick to the skillet. Allow the oil to heat for a minute or two. Once the oil is hot, add the chicken. Allow the chicken to cook over high heat for a minute or two until the side facing down has browned. Flip the chicken to the other side and cook the chicken for another minute or two. Now, turn the heat down to low, and cover the skillet with a lid. Let the chicken cook for an additional 10 minutes over low heat. After 10 minutes, with the lid still tightly covering the skillet, turn off the heat. Don’t remove the lid from the skillet. Allow the chicken to continue to cook in the residue heat for 10 minutes. Once the 10 minutes are up, remove the lid, and transfer the chicken to a plate. Once all the vegetables are soft and tender to your liking, add the zucchini noodles and cook for about a minute. When you’re ready to serve, add the shredded chicken. 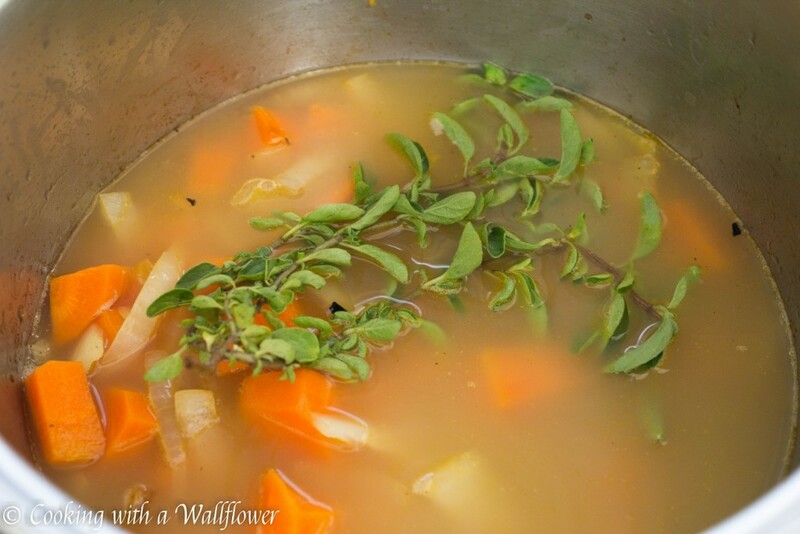 This entry was posted in chicken, Entree, Farmer's Market, Gluten Free, Healthy, Quick and Easy, Recipes, Soup and tagged farmer's market, gluten free, quick and easy, soup. I love the idea of using zucchini in place of the noodles. It’s such a great way to get some extra veggies. This looks delicious and so comforting. Have a great weekend! One of my favorite dishes. Looks fabulous. Love the look of those spiralized zucchini in the bowl. Makes it very delectable!